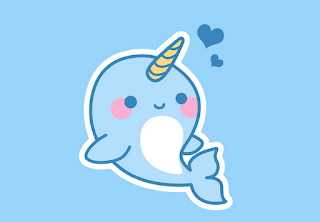 Narwhals are the new owls! Isn't this narwhal just the cutest thing? I have always had a fondness for narwhal. I love them so much I think my kids should all make narwhal projects from now until the end of time. Or.....maybe this statement is just merely silly. Why would my students want to make projects about something that is important to ME? Why wouldn't they want to make art projects about things they love? As a teacher who is fortunate to see many other art teachers teaching on a regular basis I often find myself asking the question - where has the creativity gone? It's gone to the birds. I think I may scream if I see another owl project! No offense to owls everywhere. But why owls? Do these projects teach texture? Are we studying the order Strigiformes and then using our new found knowledge to do a John Homes Audubon lesson? In most cases I would say "no"! 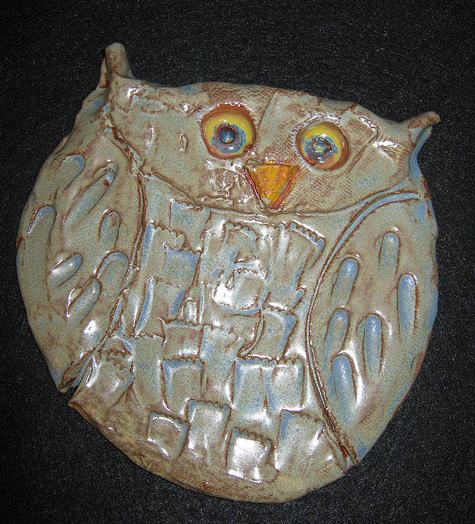 I think teachers are teaching owls just to make owls - they're cute and the clay ones are easy for the students to make. If you were actually studying Audubon would it be a far stretch to let your students choose their own bird subject? Would it change the lesson on texture if you did? I know I am on my soapbox tonight and for that I apologize but...as art educators I think we have a responsibility to promote creativity in our classrooms. I cannot tell you how many times a day a student asks me "like this?" about a project I am teaching. It is not that my directions are unclear that this question is asked, rather it is because my lesson is open for choices to be made and for creativity to happen. By 2nd grade students are already uncomfortable with that concept! They want to be told what it is supposed to look like and exactly how to make something. How did this happen? Ask yourself (and I will too!) that question the next time you see your students making the proverbial "owl" in your classroom and then see if you can create narwhals instead. You've got me thinking, Jenn. And I am guilty of just finishing an owl project with my 1st graders. I enjoyed your soapbox rant!! Lots of truth. Very interesting post, well-spoken! I wonder how many people you are going to offend. I know I offended a while back when I spoke out about the use of templates and tracers (to make work look "better"). So good luck! I am not offended, just amused as I have been collecting owl project ideas for the last month from Pinterest. 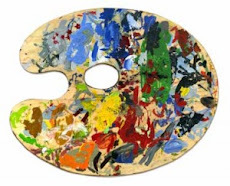 I would never presume to tell my fellow art educators what they should or should not teach when using the Elements of Art as their staring point. I am an owl lover and not ashamed to say so. Hootie-Hoot -Hooooo! It's not the owl so much as it is the lack of choice on the student artist's part. I am guilty of it in the past myself. I just think that it deprives our students an opportunity for creativity. It takes away a lot of the problem solving and higher order thinking skills we might be able to teach if we left a lesson more open. No offense to anyone! I haven't done any owl lessons, either, and I tend to cringe when lessons are all meant to look a certain way. That being said, I just did a lesson with pk-1 where everything looked pretty much the same. In the middle of the lesson, I thought "why am I doing this?" I was embarrassed. I just came across your blog and I love this post! I look forward to checking out the rest of your blog! I remember one of my old art ed. professors saying, "The person who is doing the thinking is the person who is doing the learning." And he also used to say, "An art lesson where everyone's art looks the same is not a good lesson." I think there is the temptation for art teachers to focus on making "cute" things to put on display and to send home, but we need to let kids think for themselves! I too enjoyed your soapbox rant, and there is a lot of truth in what you say. However, the “cute” TEXTURED clay owl that you displayed on your blog was made by one of MY 1st GRADE STUDENTS! (So naturally I am a bit offended) The student who made it proudly displays it in his home. Is that a bad thing? Sometimes a successful project can be a huge esteem builder in a learner. This clay owl project left a lot of room for group discussion, creativity, and problem solving on the part of the student. If you looked at the whole set of owls displayed on my flickr site, you would have seen that each owl was as individual as the student who crafted it. We learned about texture and how to apply texture to clay with this project. We looked at real photos of owls and talked about the real texture in their feathers. We looked at many artists drawings, paintings, and fabric designs of owls and talked about how nature is often the inspiration for artists works. (I am fortunate to have a SMART board which makes all of this information so accessible and “fast”.) Yes, I chose the “subject matter” of the OWL after seeing what I thought was a successful project on The Incredible Art Dept. Website. I provided a table full of textural objects for the students to explore when making their owls. They made a lot of individual choices. Quite honestly, I do not see how my “OWL” project is SO VERY DIFFERENT from your current 1st Grade Textured Pumpkin Clay Project??????? Is it REALLY so much different? Why pumpkins? (I happen to like pumpkins and many pumpkin projects) Don’t we all try to provide many different creative experiences for our students? We sometimes base a lesson on art history or famous artist’s works. We sometimes teach about culture through art. We may teach about folk art and outsider art. We sometimes focus on a single element or principle of art. (i.e. TEXTURE!) Sometimes the experience is totally process oriented and totally open ended. Often times a successful product may seem to be the intention of certain projects, when it really entails so much more. SO, rant away all you want. We all have things that get under our skin and need to “express”. Good for you for blogging! Thanks Darcy for expressing the "other side" to my argument. Please don't think for a second that I don't like your students owl! It sounds like YOU had a very thought out lesson with a lot of learning built in. I wish I could say that for a lot of the owl lessons I see but it is fact not true. Part of my job is being a curriculum supervisor for other art teachers. I think many have lost their way. They are making things just to make them because they are "cute" and missing the learning opportunities that can be naturally embedded within the lesson. It sounds like your lesson is more like what I suggested - it included some actual learning about the owl species and perhaps some observation of real owls and their feathers. I have seen this lesson taught with no mention or pictures of real owls at all. Where the teacher basically shows the students step by step how to make the owl EXACTLY like their example. To me this is NOT creativity and NOT learning. As far as teaching the clay techniques I think those can easily be taught regardless of the animal the students are making. With the pumpkin lesson we studied an artist that did installations where she included hundreds of the same forms. Repetition is her art! We discussed that when we introduced the lesson as part of our meaning and creative thinking exploration. It was done with intention and my students understand the reason behind it since we are going to install an installation of forms. It could have easily been an different object that we chose to repeat but I had real pumpkins we could use for observation. Thank you again for your comment and I am happy to remove the pumpkin picture if you would like me to. 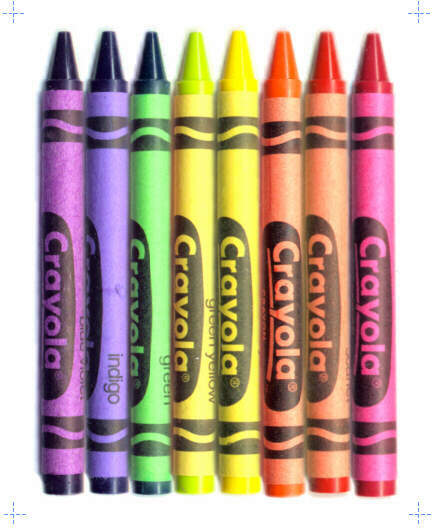 Some of my little ones, sadly, come to Kindergarten having never had a crayon, or scissors in their hand. With the rising cost of day-care, and more parents at home and out of work and opting out of day-care or pre-school, it seems in my neighborhood, that many come to school without the skills in cutting and coloring that they might have had in pre-k. So, sometimes, I do something "cute" with the intent that students need something concrete to work towards. They have color choice/tool/placement choice, and background choices, and I always relate the object to a bigger idea, perhaps an enduring theme, or a social studies skill. As my students age, I increase choices, and am less concrete, but I think it is important when they are little that they experience success on many levels. And, that they recognize a success, whether it is a new skill learned, a project completed, or a vocabulary word remembered. The Princess of Polka Dots!